6 weeks down and 2 to go! I can’t believe I am in the homestretch!!! This last week was a little different but challenging yet still! 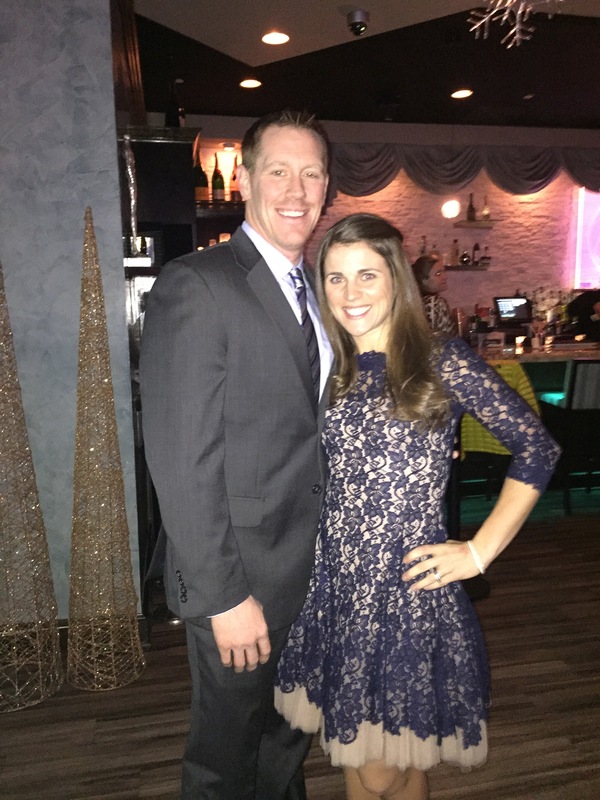 I had an absolutely AMAZING weekend in the ‘burgh for Pittsburgh’s Super Friday and our Dream Team Celebration Saturday. But we also celebrated and ate, and ate, and ate some more! 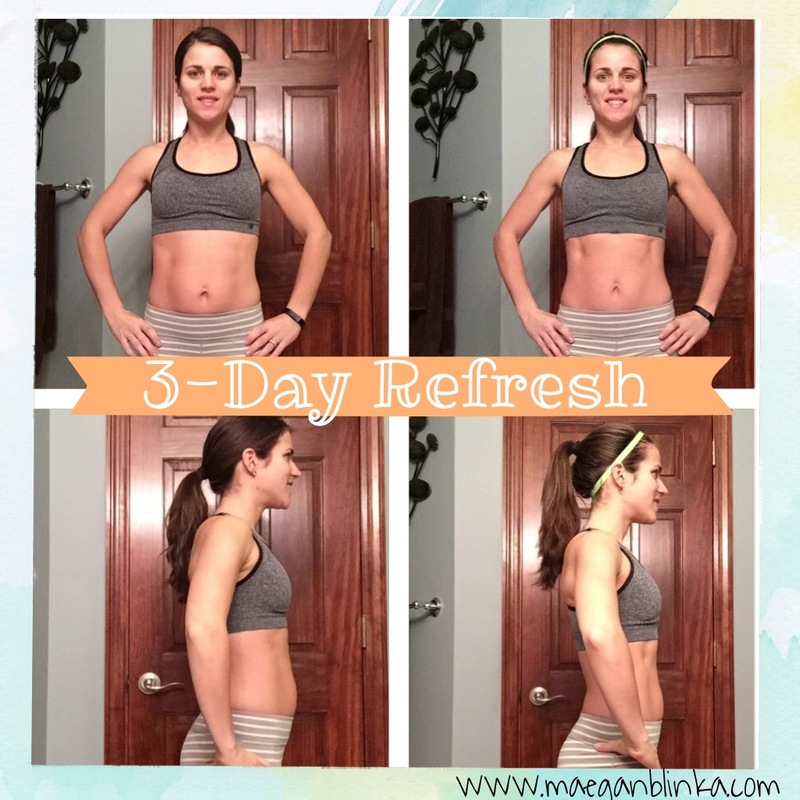 So needless to say I needed a jumpstart for week 6 – enter a simple little cleanse – the 3-day REFRESH! Sometimes its hard to get back in the swing of things. I’m a routine type of person. Keep me on my routine and I’m as happy as can be. Stray from that – and watch out! 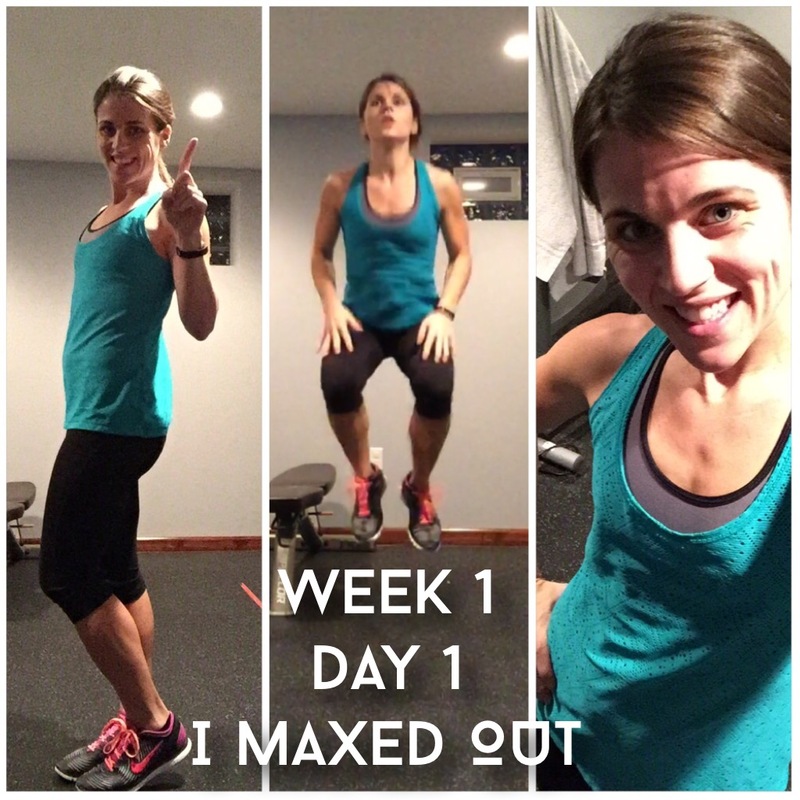 It wasn’t easy jumping back in…I could feel the bad nutrition choices lingering in my body but I knew the easiest way was to JUST DO IT – so I did! 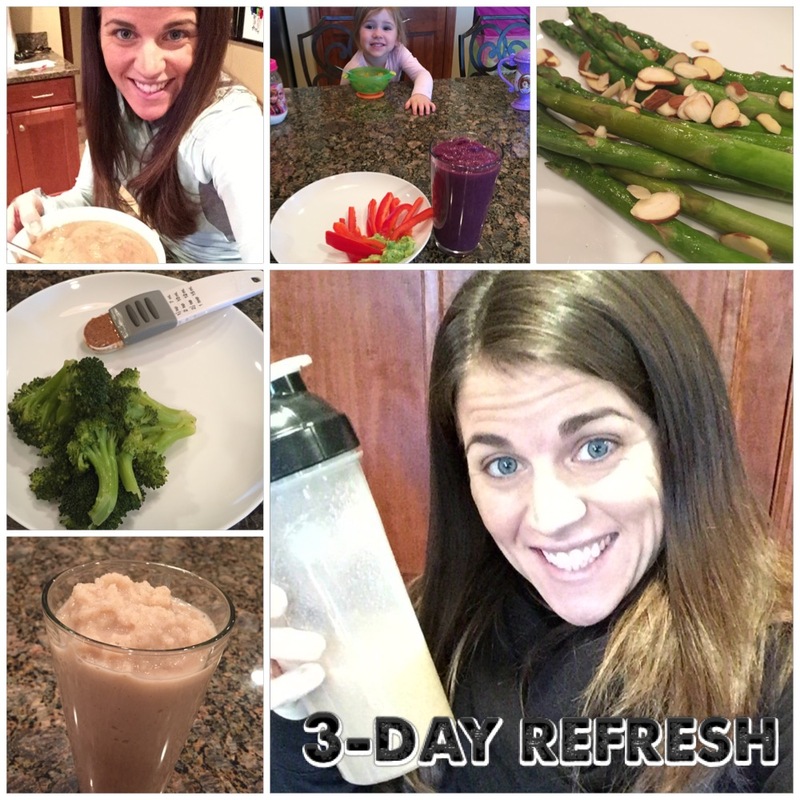 Monday was a typical day and then I started the 3-day refresh on Tuesday. 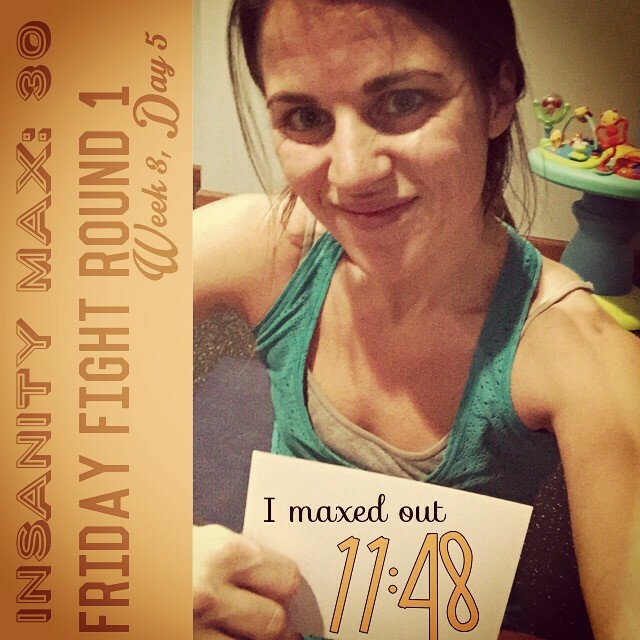 The guide says to do “moderate exercise” so I stayed with the modifier in Insanity Max: 30 on both Wednesday and Thursday but went full out Friday morning – what can I say I was feeling REFRESHED!!! If you haven’t heard of this yet or given it a try – please consider it! 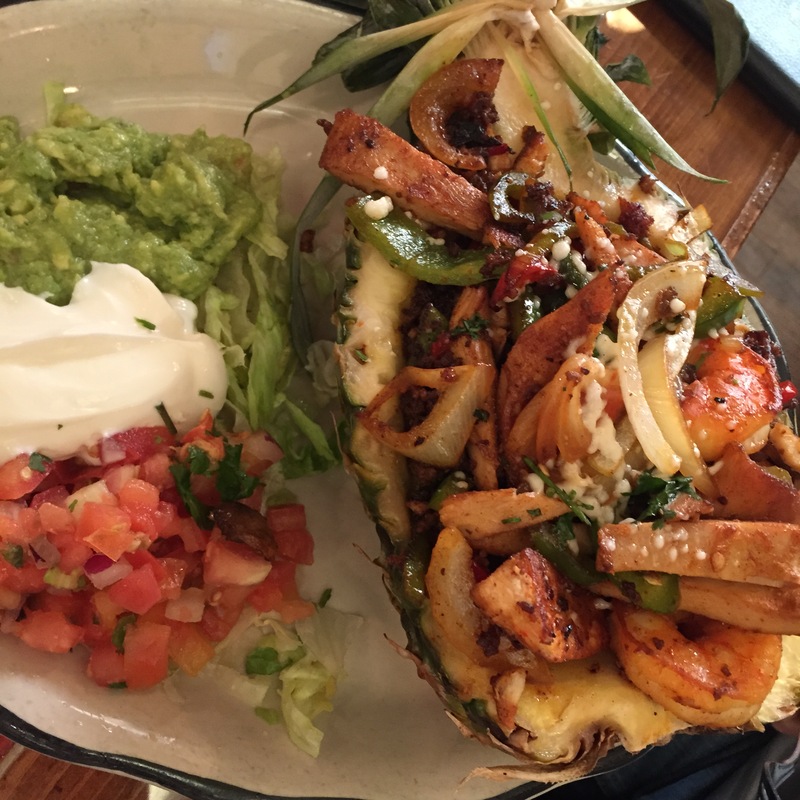 I am not big on diets, cleanses etc… but this is different! 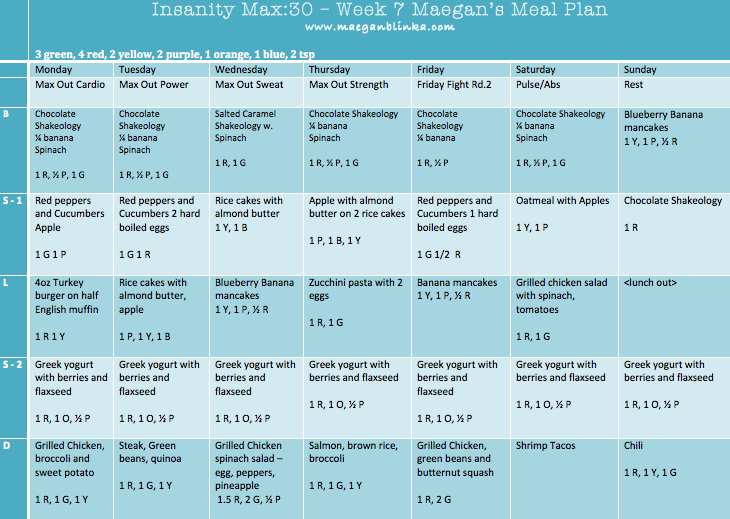 You really are eating all day long – its simple, vegan, small meals, some shakes and a few really good night sleeps! Trust me! By Friday morning, the bloat was gone, I was down 3 pounds, 3 inches, rested and ready to continue on with my healthy eating habits! These just goes to show you how important your nutrition is! 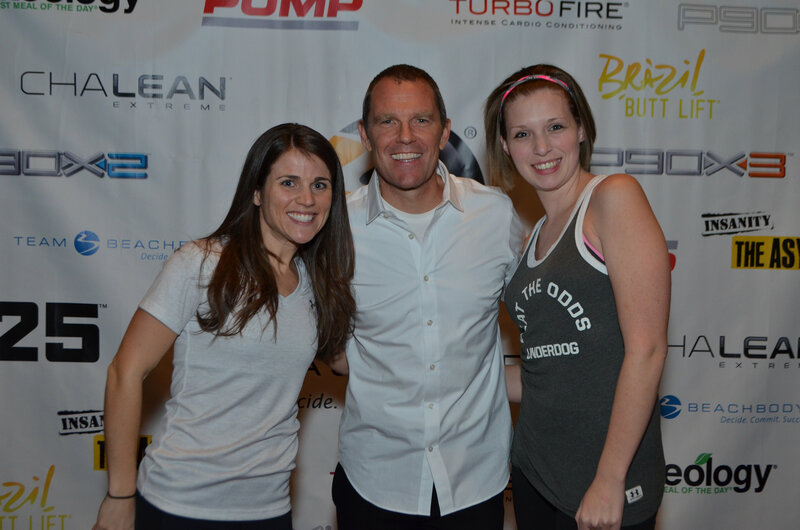 I never missed a workout but that bloat was BAD! But hey – I’m back on track!!! 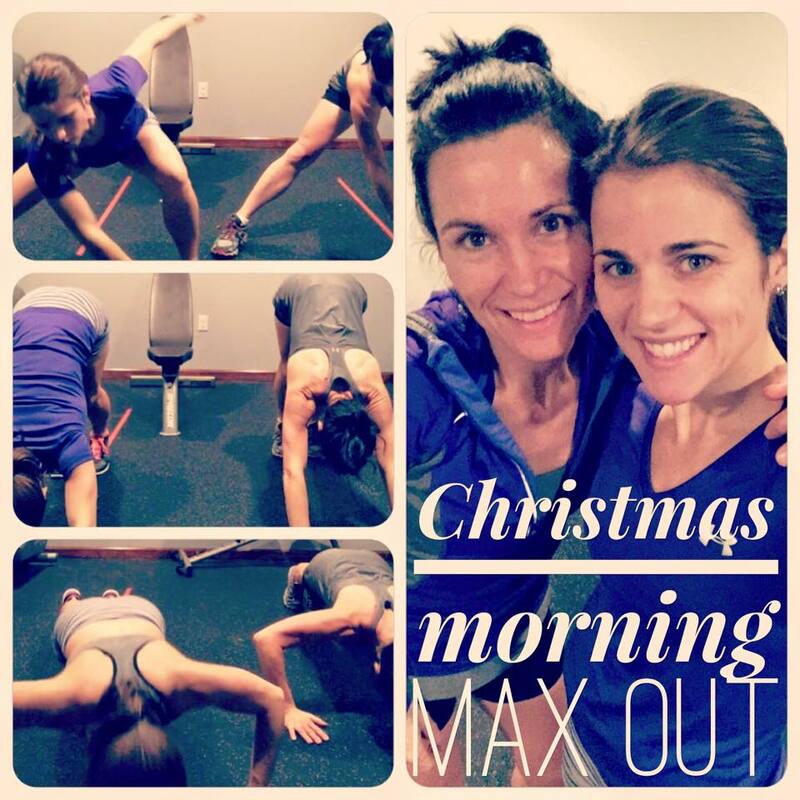 I wrapped up the week with a morning sweat mesh with my #1 by my side. 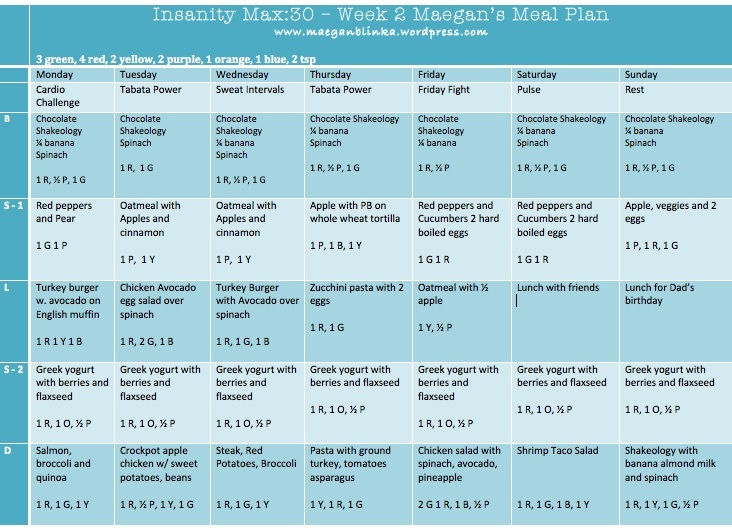 We have a jam packed weekend so I got a jump start on my next week’s meal plan and off to music class and SAMs club we go! 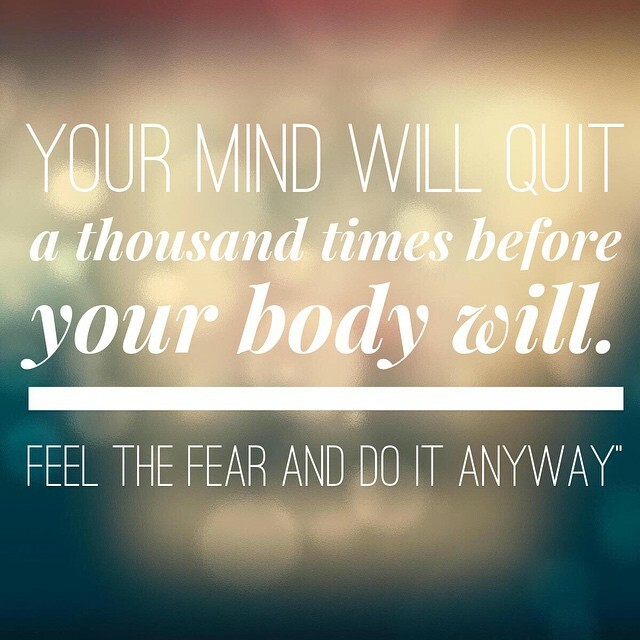 Stay strong, be healthy, make good choices – and SWEAT TODAY! All I can say is thank goodness today is REST DAY! I’d say the one muscle group I can feel working harder than before is my core – you use your core in so many of the moves and I am already starting to see changes in my body!!! SCORE!!! 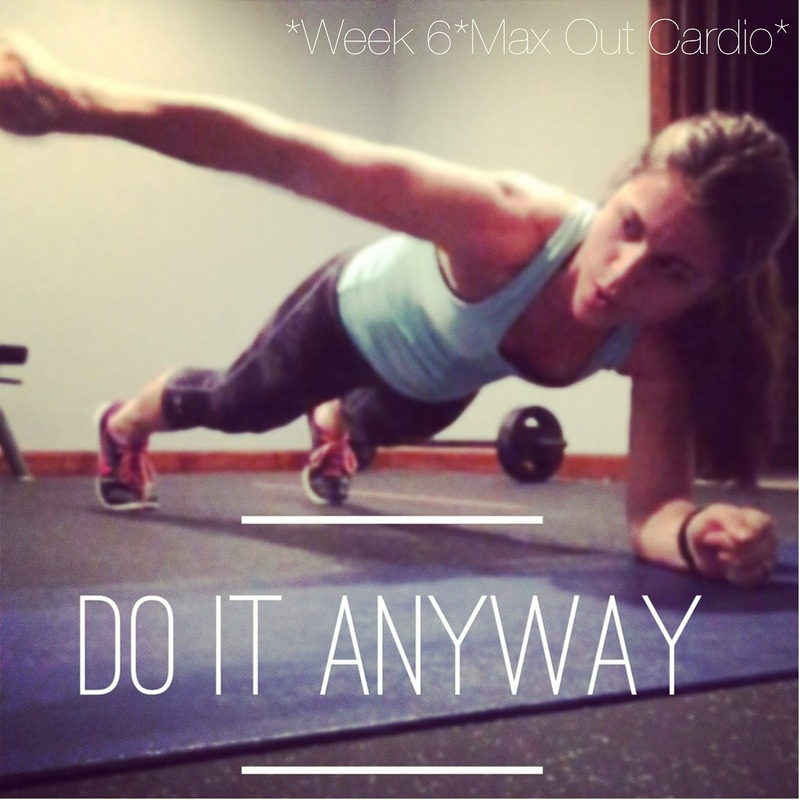 I was a little disappointed in myself on Monday for maxing out almost one minute sooner than when I first tried the Cardio Challenge when my package arrived but I think it was just the extra excitement I had pushing me along the week before. 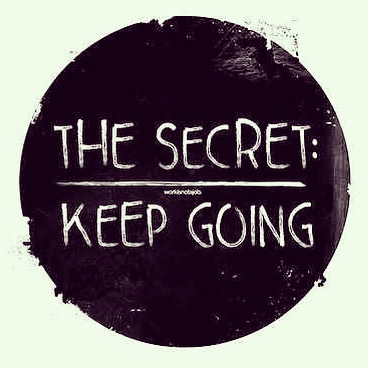 But at the same time – I know I can do better and that is most definitely on my goal list for this week!!! 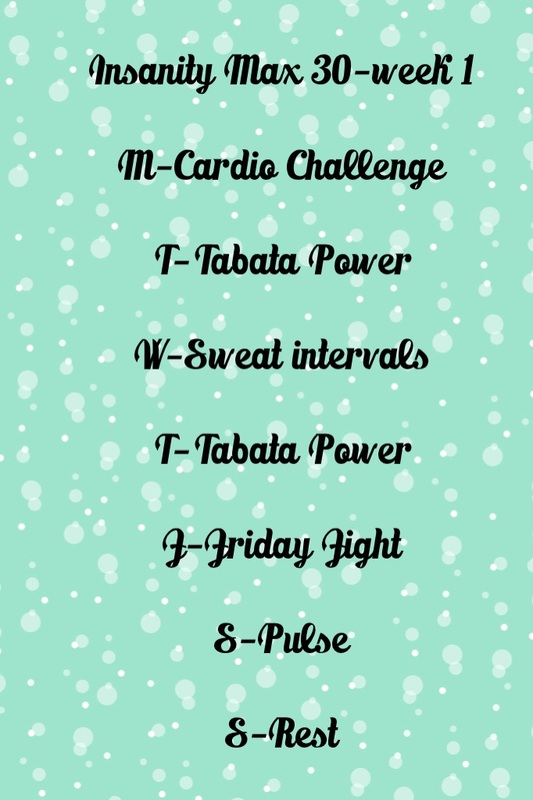 Tabata Power was twice this week and I was solid on the first part, week on the pushups, great on the core work but struggled on the tricep dips. Needless to say it was easy to identify my weak spot and know where I need to focus and strive to improve!!! 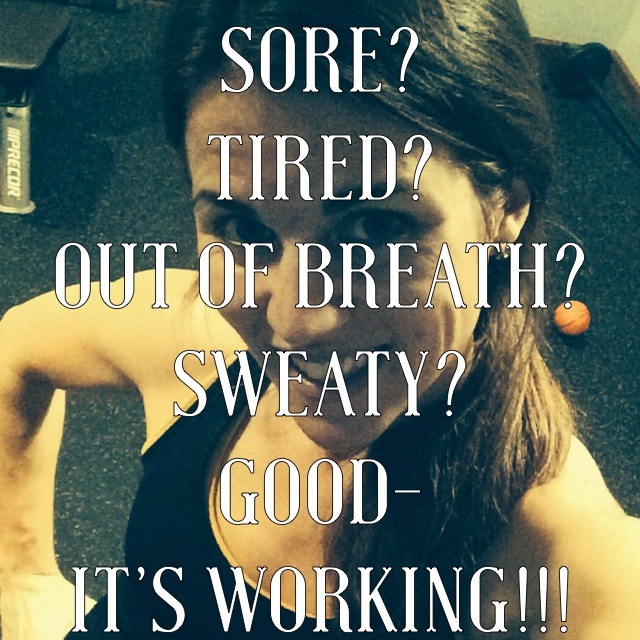 Sweat Intervals did just that – it made me SWEAT! I’ll admit – I was a bit nervous to try the Friday Fight Round 1. 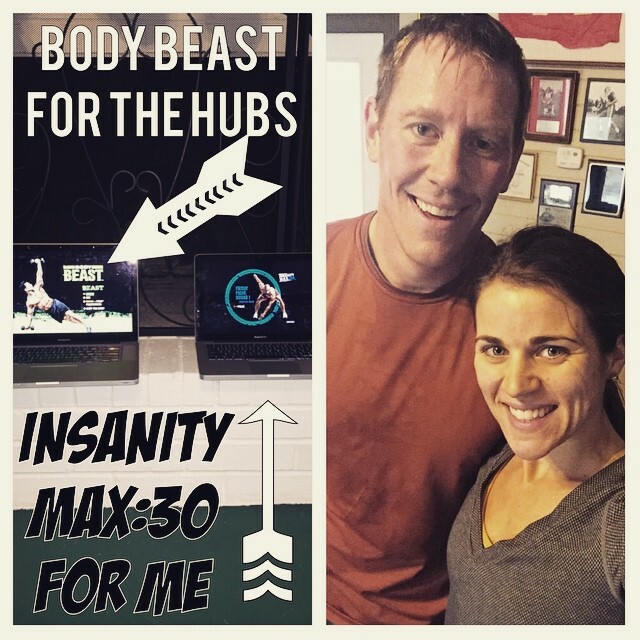 I had heard it was “hard” but then again – this program is far from easy!!! I had to give myself my own little pep talk that morning and focus on how its all mind over matter. I remember reading how your mind quits far before your body – so keep pushing even when you don’t think you can do anymore. 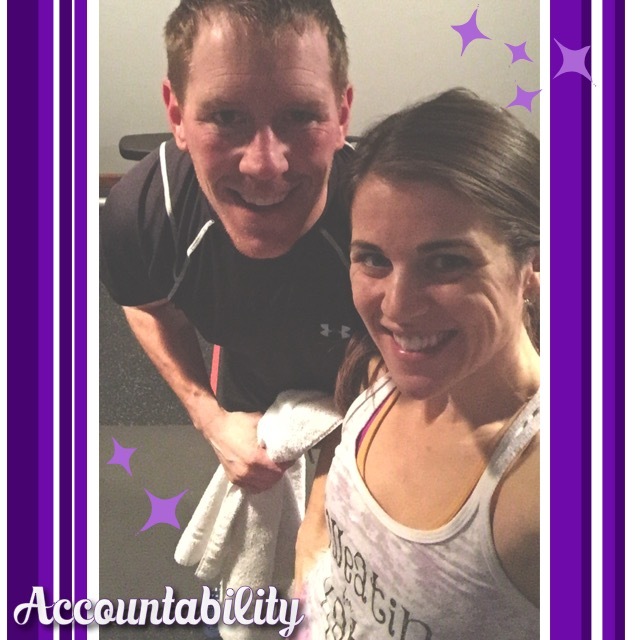 I told myself – “when I think I’m done – I’m going to do three more” and that mentality worked! 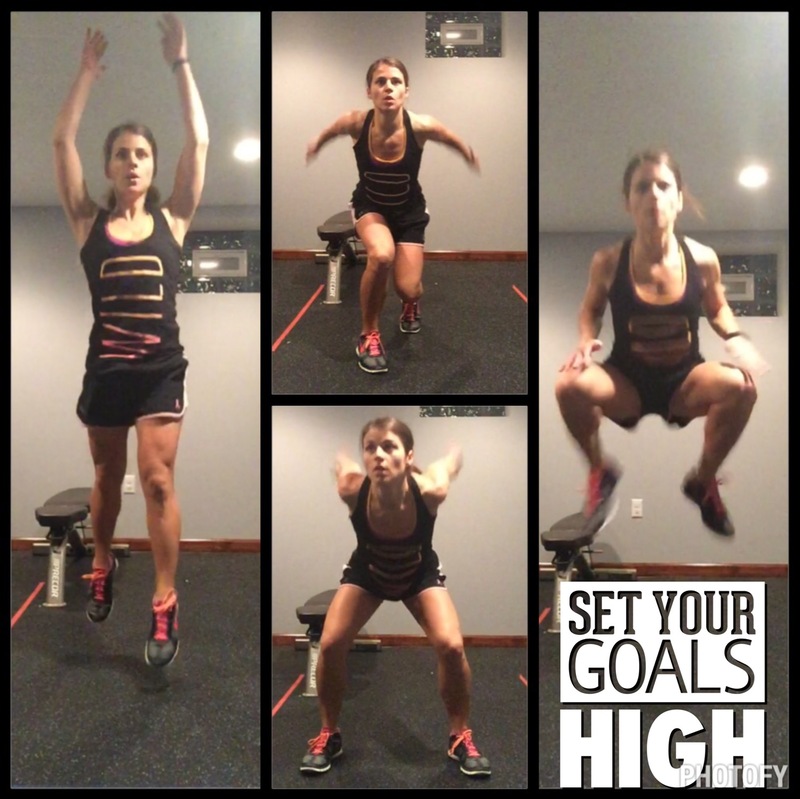 I was exhausted but I maxed out in the 11th minute of this workout – much longer than any of the others. Granted I was really struggling to push myself after I first maxed out and did almost all modified for the remaining time but it really helped me realize – its a game – its MIND OVER MATTER! Pulse is an optional Saturday (could be a rest) workout and although I when I finished FRIDAY FIGHT I was already set on a rest day Saturday, my body told me the stretch and low impact moves would help me recover. And let me say – it was 20 minutes well spent!!!! 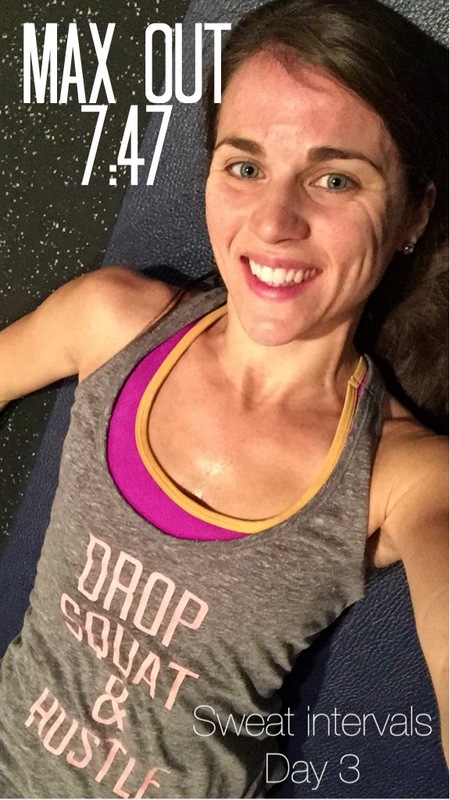 Plus I like to stick to my routine every day – not just during the week! I feel accomplished and energized to start my day. And despite getting up earlier than I “have” to – I am more productive and actually feel more energized!!! I kept a lot of things similar to week 1. 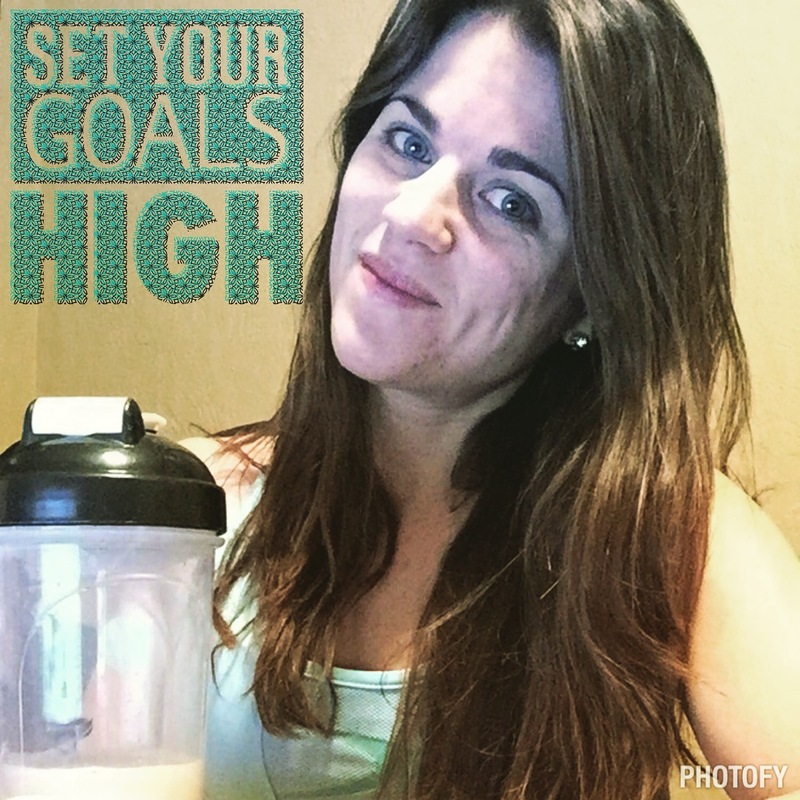 I wanted to switch up some of the dinners and lunches, but my Shakeology for breakfast remains consistent. 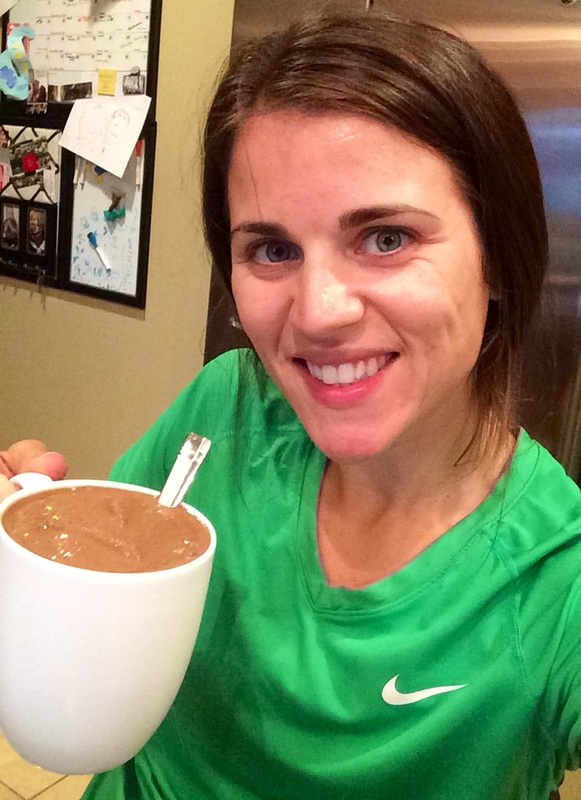 Shakeology is far and away my favorite meal of the day but any time I can get a green in first thing I am happy! So I’m sticking with the “if it isn’t broke don’t fix it” approach and leaving my breakfast the same! I also continue my daily yogurt bowl for one snack and veggies and eggs for the other. The one thing I knew I would be repeating this week is zucchini pasta! Its become one of my favorite snacks, sides, meals – it does it all! We have a busy weekend visiting friends one day and traveling to my home town for my Dad’s birthday but I will pack my healthy snacks and do my best to make good choices! 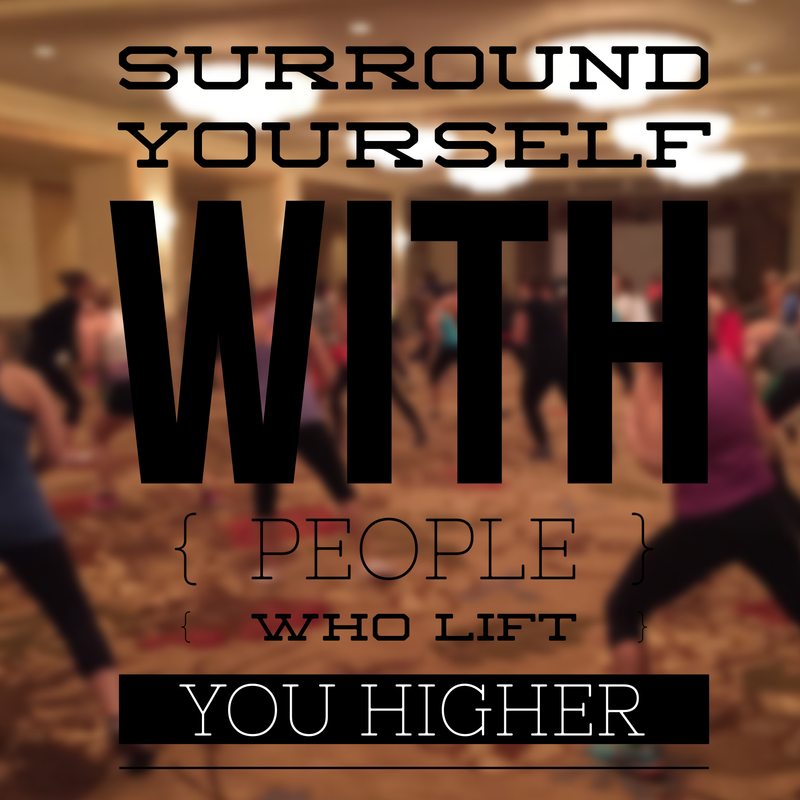 Thankful for my 7-day Clean Eating accountability group for the Holidays group kicking off tomorrow…there’s power in numbers!! And there you have it – week 1 is behind us and week 2 is ready to rock! Here’s to a fantastic week!!!! 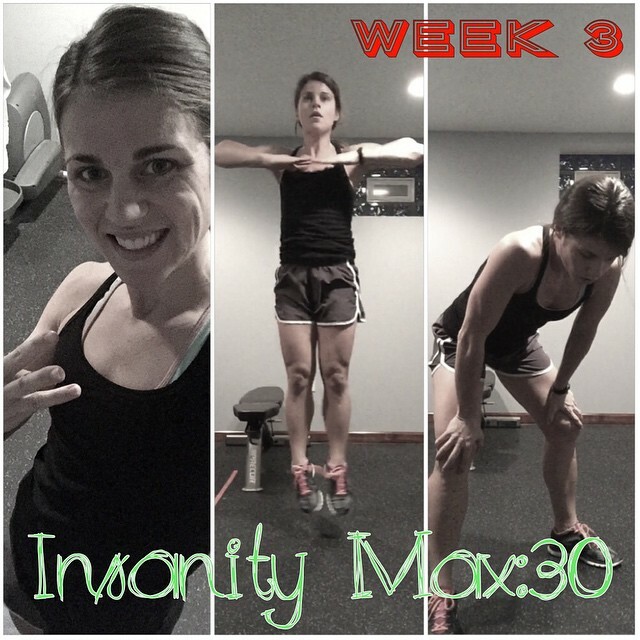 If you are interested in Insanity Max:30 or any other Beachboy workout program and would like to get 1:1 coaching and support along with motivation and accountability, please fill out my challenge and accountability application below! 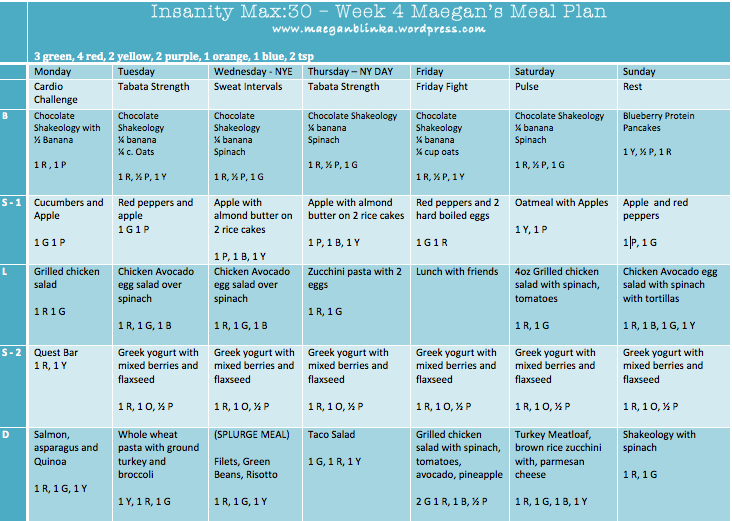 I share tips and recipes and I will help you with the one thing I always found so difficult – MEAL PLANNING! Remember – your health and fitness success is 80% nutrition. You can get all the results and support you need right in your own home – and you don’t have to do it alone! My 7-day clean eating group starts tomorrow and my next 60 day full support group kicks off January 5th! Its not too early to reserve that spot!!! I was making good use of naptime on Sunday and while the gluten free brownies were baking I started prepping for my first ever attempt on Butternut Squash Soup! I think its the idea of knowing how darn hard those things are to cut up but I bought the squash a week ago and had yet to cut them open. And this isn’t the first time I ran into “needing” to use them up! 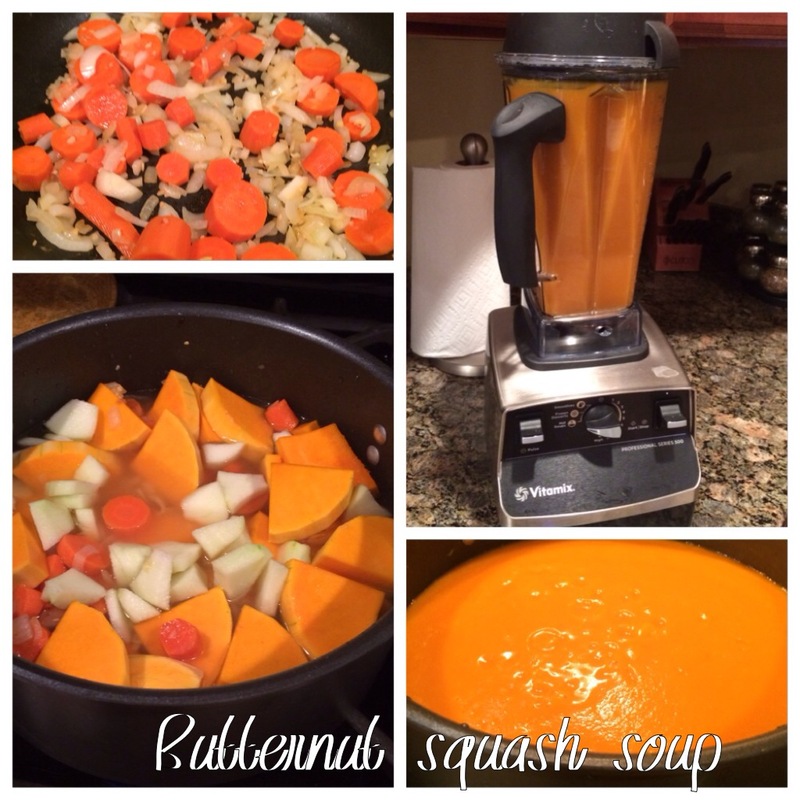 I got a recipe for some delicious soup from my brother in law and made a few tweaks to create a delicious, healthy, butternut squash soup! Sautee onion, carrots and garlic in olive oil, until soft. Add chicken/vegetable stock until just covered and bring to a boil. Then simmer until soft. 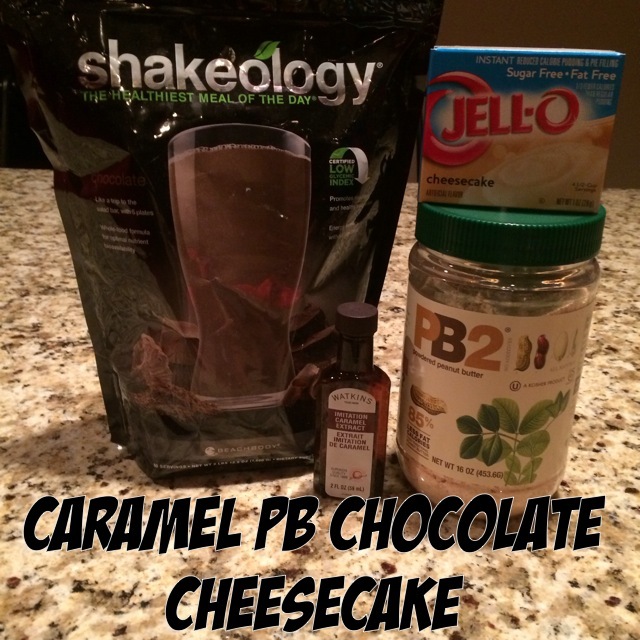 Put all ingredients into a food processor or blender and blend until smooth. You may have to do this in two batches. Serve topped with pumpkin or sunflower seeds for a little added crunch! ***I’ll be honest – I didn’t add anything else!!! Some things to consider would be salt, pepper and ground nutmeg! You could also add heavy cream depending on the consistency you like – but I was trying to keep it low cal! Plus it was DELICIOUS just the way I made it so I saw no need in adding anything else! This batch made about 10 cups – enough for two dinners and a few lunches!!! You could also freeze some into individual containers for a quick easy weeknight meal! 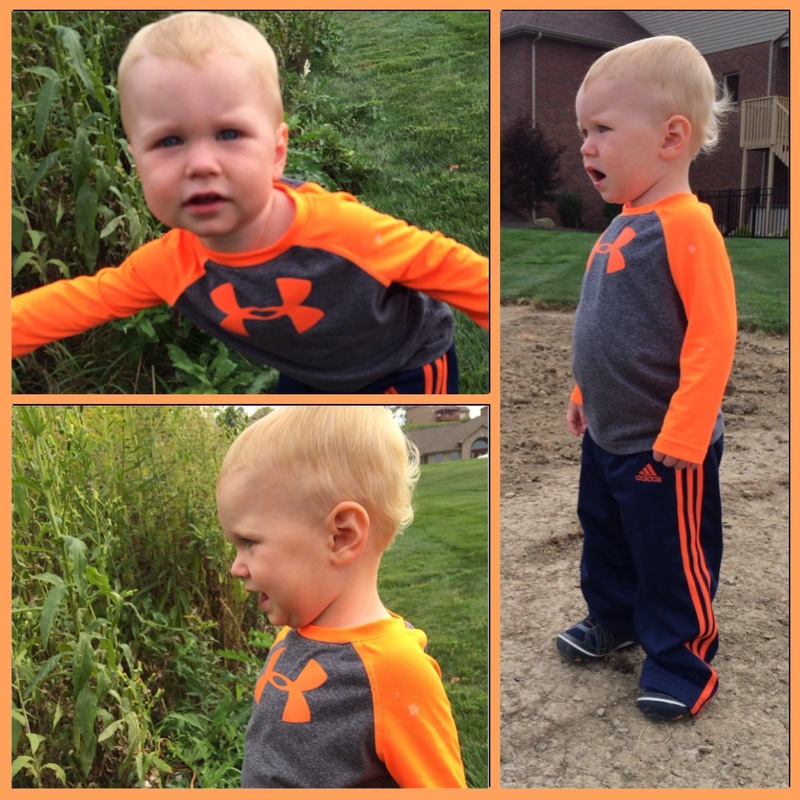 I think its safe to say it was also toddler approved!!! Day 4 and we finally finished it all up! I’ll be making this one again soon for sure – likely Thanksgiving Day! 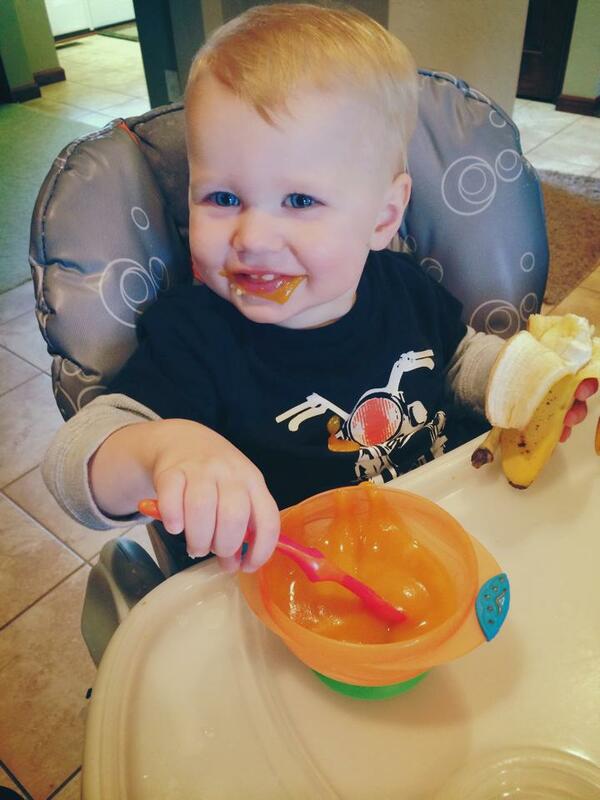 BUSY MOM TIP: Find something that your kids enjoy and will keep them contained, so you can FOCUS. Whether its for 10 minutes, 20 minutes or gasp – a half hour! Happy, quiet kiddos results in a very produtive mama!!! Ok so I know I’m busy, you’re busy, what mama out there isn’t “busy”?!?! The to-do list is never ending and we are always looking for a way to maximize our time and knock those items off our to-do list in the most effective way! One thing I’ve realized is it all comes down to balance. Balancing your priorities, your time, and where you need to be at each moment each day. 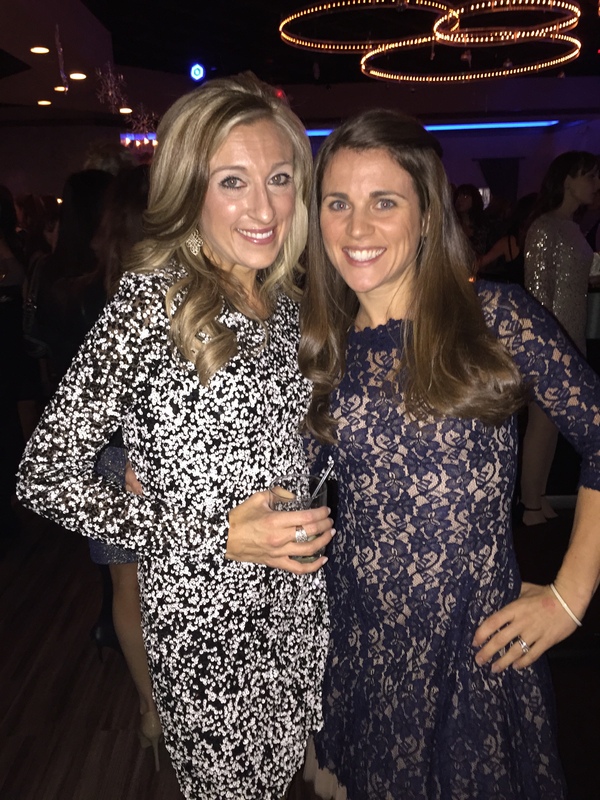 I had a fabulous weekend away cheering on my mom as she rocked out her first ever marathon in Baltimore but now its time to get back to the grind! The weekend away was fun, but there’s a giant pile of laundry to catch up on, things to get ready for the week ahead, grocery shopping that desperately needs taken care of and a workout that cannot be skipped…as with any fun family weekend this one as well resulted in a few extra calories ❤ All well worth it!!! 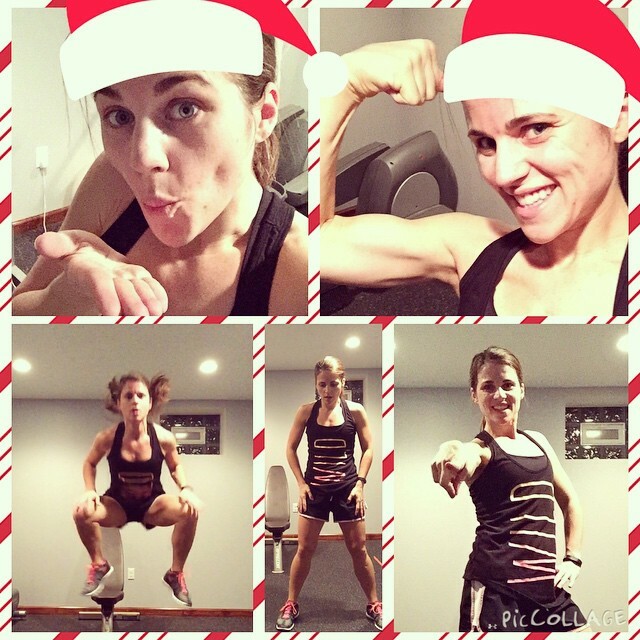 I admit, I did snooze…well I snoozed twice, but then I got up, downed my E&E and got my sweat one with a little P90! Starting my day with a workout is the best way to get up, wake up, and get on with my day!!!! Regardless of how early I get up, I almost never get done what I need to do. Ok well, let me rephrase that. I always get done what I NEED to do but rarely everything I WANT to do! We basically came home last night and just left everything as is. So as a means to catch up around the house this morning I wanted to have something fun for the kiddos to do after breakfast that would keep them enterntained and allow me to get a few things done! 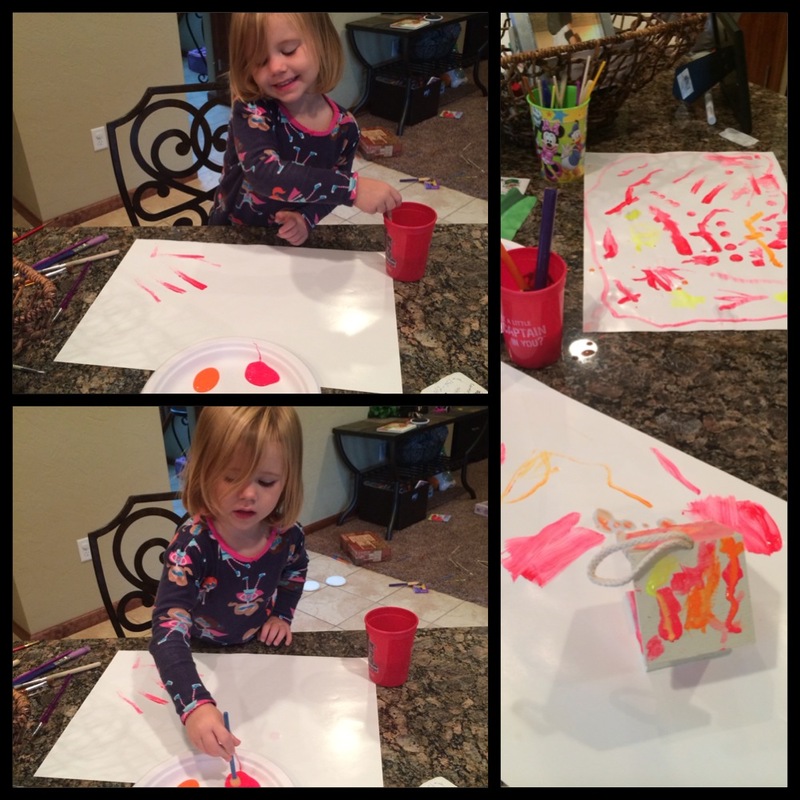 Soooo…after my workout I prepped a little painting craft for the kids. My daughter never turns down painting and let’s be honest, her little bro just wants to do whatever his big sis is doing! 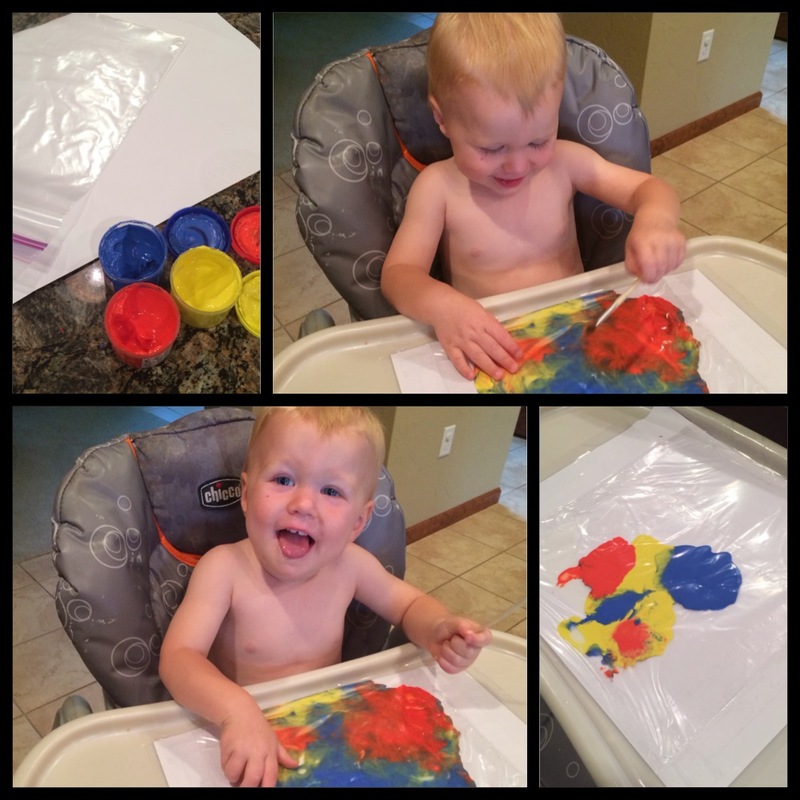 While I’m not quite ready to turn him lose with a paint brush and blank canvas I remembered seeing this idea on Pinterest where you put the paint in a ziplock bag and tape it down. Seemed easy enough yet I had never tried it! So while the little ones continued sleeping I got the paint brushes and paper out for Aubrie and and poured the paint into the bag. I had to prep this one before they got up because if I hadn’t I would have had two little monkeys climbing on my legs as I tried to get everything together and by the time I finished one of them would have certainly lost interest!!! With a busy morning of gymnastics and a trip to the grocery store I knew I was limited to my freezer stock for tonight’s dinner! I pulled out one of my favorite crockpot meals – Black Bean and Corn Chicken Salsa. This is so easy…freezer to crockpot to dinner table – easy peezy! 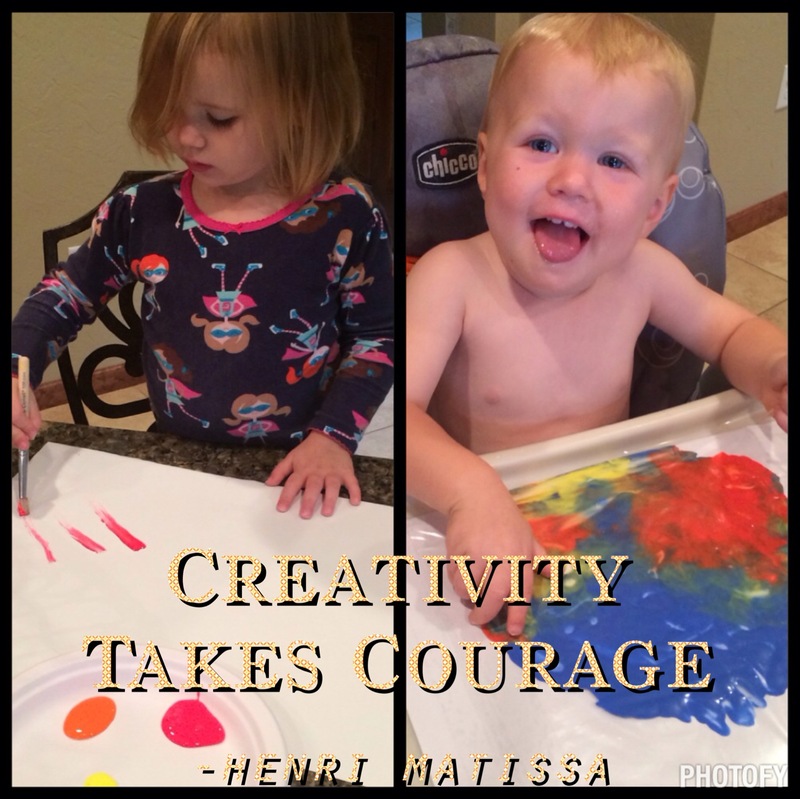 We went on with our usual morning routine and when I offered out the paint brushes both kids were beyond excited!!! Aubrie was perfectly content for a solid 45 minutes only needing more brushes, a birdhouse and more paper to keep her satisfied! I’m not going to say it lasted quite as long as I had hoped for Colt but I got a good 15 minutes and well…15 mintutes of both kiddos content and contained meant I was able to unload the diswasher, switch over the laundry and even grab a quick call with one of my coaches – Pinterest craft = success! I was even able to squeeze in a few more minutes of work while Colt worked hard to take every single item out of all the art table bins and Aubrie continued working on her masterpiece! 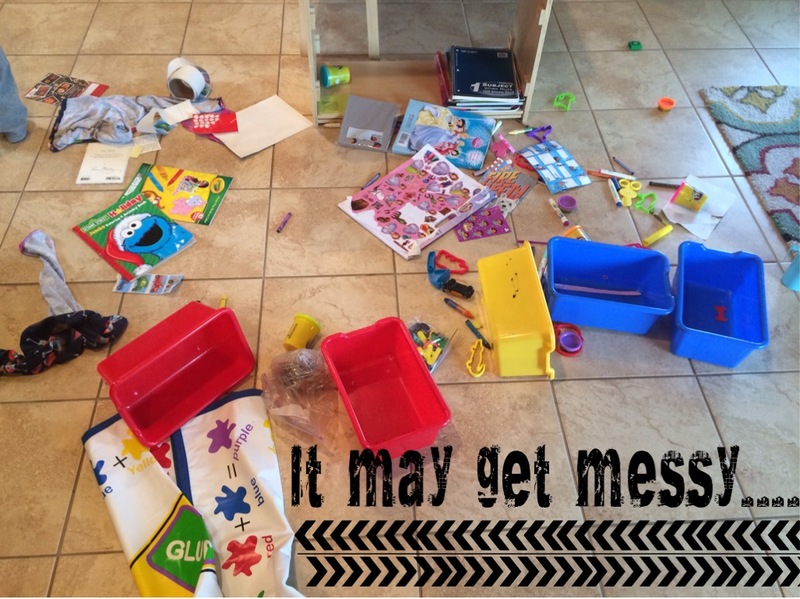 Things may have gotten a bit messy, but well, our house is usually messy! There are always toys on the floor, crumbs under the table and our toy bin is typically empty with the books spread across the floor. But secretly – I love it!!!! When Daddy walks in the door with the response” Wow, looks like you guys had fun today” you know it was a successful day! We had playtime, art time, story time, a successful trip to the grocery store (thank you Giant Eagle for inventing the Eagles Nest) and we all got done what NEEDed to get done! 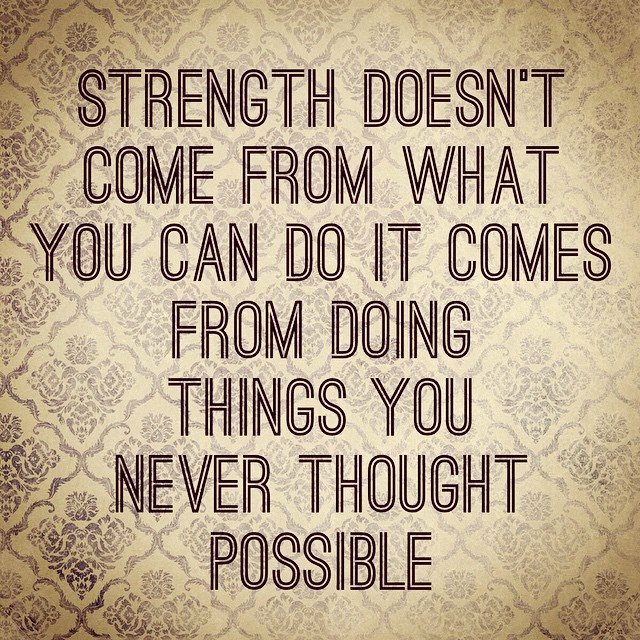 Finding that balance is an ongoing task but one I will continue to work towards perfection! Blend until you reach the consistency you like! I prefer to “crush ice” first followed by “blend” for about 30 seconds. Like most of my shakeos – I eat it with a spoon! Perfect post-workout breakfast!!! All this an clocking in at about 200 calories – I’ll take it!!! My mother in law used to make the best squash and truthfully, that’s how I got hooked on this little veggie…cooked in butter, with a few eggs and topped with cheese – Ahmazing – tasting!!!! Problem is – as delicious as it was it just doesn’t fit into my lifestyle anymore. 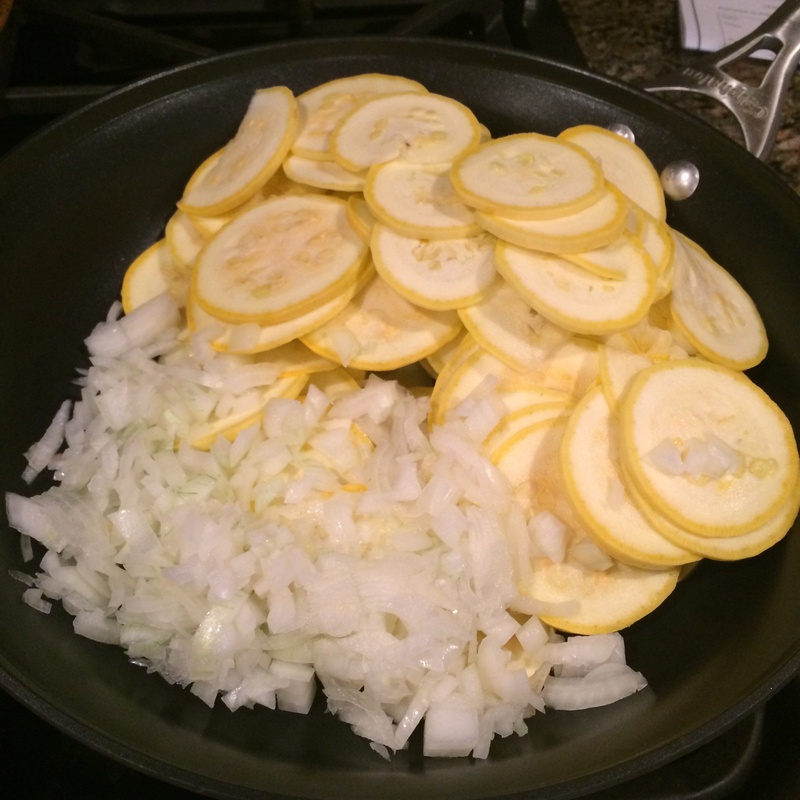 I saw some delicious bright yellow squash at the farmers market over the weekend and couldn’t help but snag a few up! I’m getting pretty good at taking a healthy spin on things so with a few tweaks this old favorite is back in the weekly rotation – as a new, improved, 21-day fix approved side dish!!! 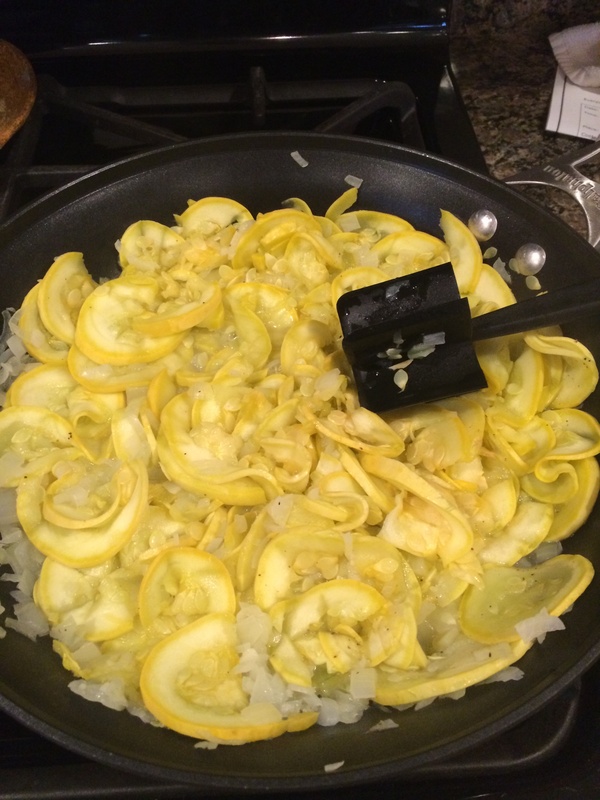 Add the squash and onion and place the lid on the pan. Cook for about 20 minutes, continually stirring and chopping as the veggies cook. You’ll notice the squash really cook down! 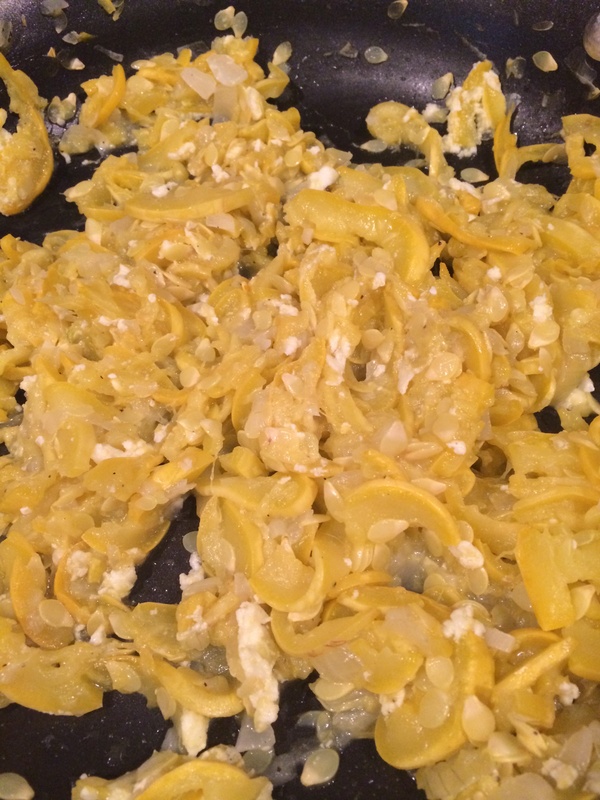 Move the squash to the side of the pan and add the egg whites – scramble the egg whites and combine with squash. Top with a little sea salt if desired and you’re ready to go! I love to serve this side with Turkey meatloaf and a baked sweet potato. I also eat it by itself as a side with lunch – you can’t go wrong! So…I picked up a pound of ground chicken last week at the grocery store in hopes to make some homemade chicken nuggets for my picky, carb loving, anti-protein-eating 3 year old but every recipe I found seemed too difficult or I was missing something here and there and to be honest, she probably wouldn’t have eaten them anyway! 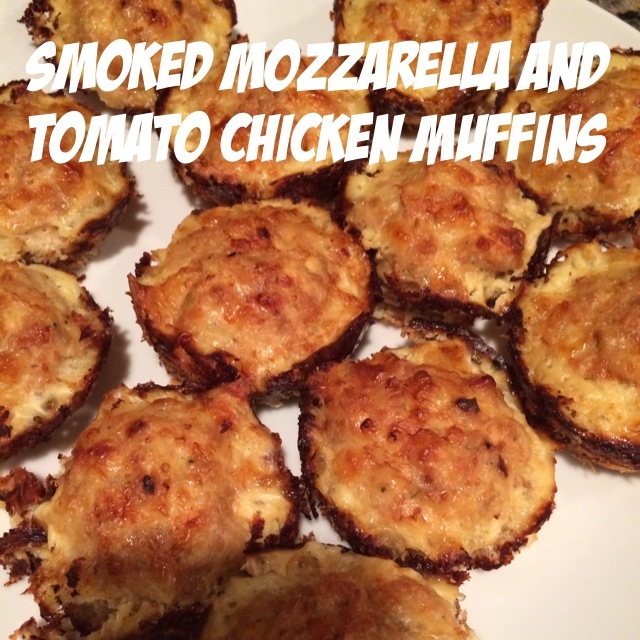 Time was ticking before the meat either needed cooked or frozen so I decided it was time to get creative…and the Smoked Mozzarella and Tomato chicken muffins were created! A few things to note: You could sub out the rice krispies for bread crumbs…I was just trying to keep it gluten free and my daughter liked dumping “her” cereal in the bowl so we went with it. Also, the seasoning is what makes this recipe. Wildtree makes organic, non-GMO all natural seasonings…I attended a home freezer meal workshop a while ago and found so many great seasonings that really fit our lifestyle! Add the ground chicken and stir with a wooden spoon until well blended. Add the cheese and rice krispies and continue stirring until the mixture holds together well. 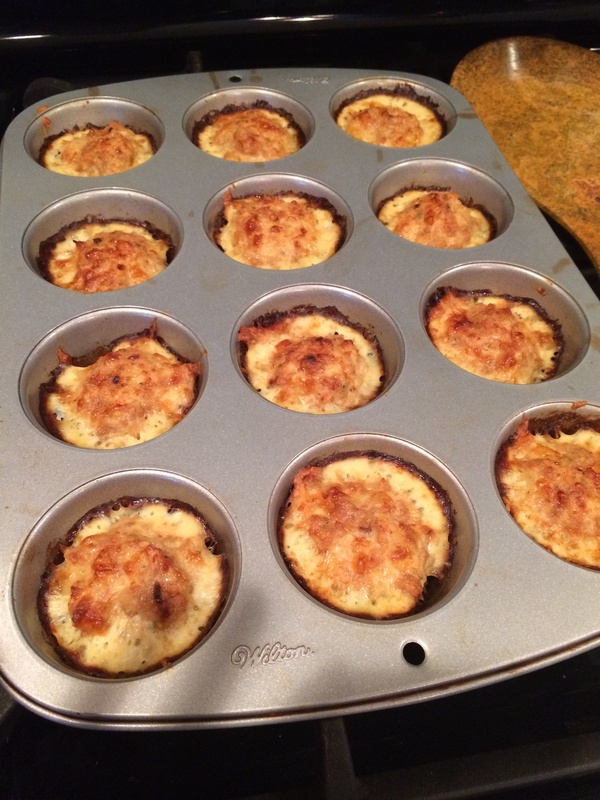 Using a large cookie scooper, scoop into a muffin pan. (You can also roll into 2″ balls…I just have an aversion to touching meat and avoid when possible!!) You should get about 12 muffins total. For all my 21-day fixers: 3 muffins would equal 1 red serving and 1/2 a yellow.